I am happy to have a distraction—albeit a bit of a challenge—from watching my Ducks flounder in the Western Conference of the NHL. As I scurry to amass as many as 110 bottles in just sixteen days, I have little time to watch them as much as I would like—no matter how painful. I knew it would be downright impossible to complete this task without visiting some of my favorite areas in California, which is why I chartered a trip to Napa Valley and Sonoma County, in an effort to make up some serious ground on the countdown. But, before I embarked on my journey north, I had a tasting gala at my apartment, cracking six random bottles of red and white wines to be shared with a close bunch of friends and colleagues. Subtracting six more wines (104 looming in the fast-nearing horizon), with no particular connection, all part of the evening. 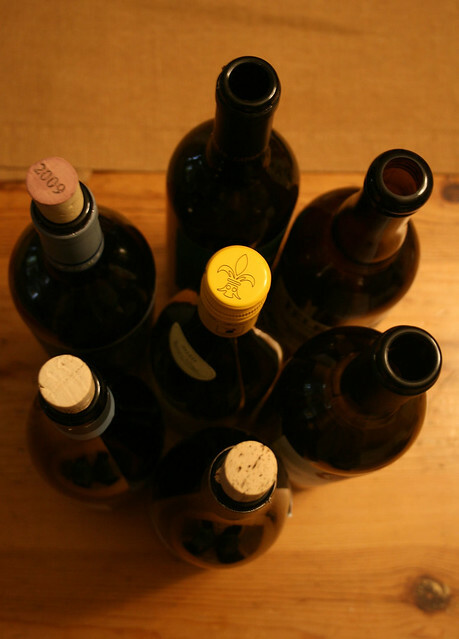 After work I had scheduled a last-minute get-together to try a few bottles of wine for the purposes of determining whether they would be candidates to be featured in my wine department. An even split of six wines were doled out for my guests. 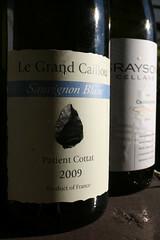 Three white wines were served first, priming our palates for the three reds that would follow. 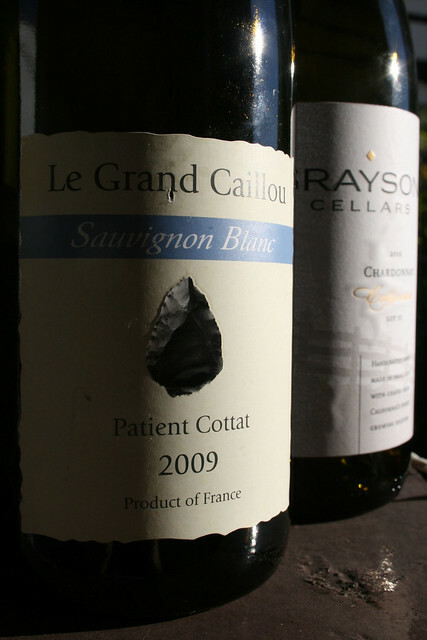 We began the tasting with a Sauvignon Blanc from the Loire Valley—2009 Le Grand Caillou—that brought forth soft apricot and white nectarine flavors that I was unfamiliar with, instead of the normally accustomed mineral-tinged Sauvignon Blancs from northwest France. The stone fruits sounded deeply, lingering on our palate as we were beginning to segue into the fuller-bodied Chardonnays. The next in line shared the locale, branded with the same Vin de Pays du Val de Loire designation, a 2010 Domaine de Bernier Chardonnay that kind of left us wanting more. And with that we went domestic, cracking a bottle of Grayson Cellars Chardonnay “Lot 11,” in a similarly fashioned lot program that brought to mind Cameron Hughes and Penfolds. The wine smelled of pear and tropical fruits. On the palate it was much more grounded, classic green apples rounded out by a healthy amount of oak. The California Chardonnay was surprising in the best sense of the term, steering clear of the butter and malolactic flavors but still retaining the smoothness. Turning the corner we had readied our glasses for the bigger red wines starting with a 2009 Blau, the sister label to Can Blau, a blend of Mazuelo, Syrah and Garnacha. The nose was sumptuous; enough to eat in a few deep sniffs, however the palate really disappointed (no finish). To be fair, it was a value red under ten dollars. That does not excuse the disappearing act but I could, at least, spot the differences between the two labels. 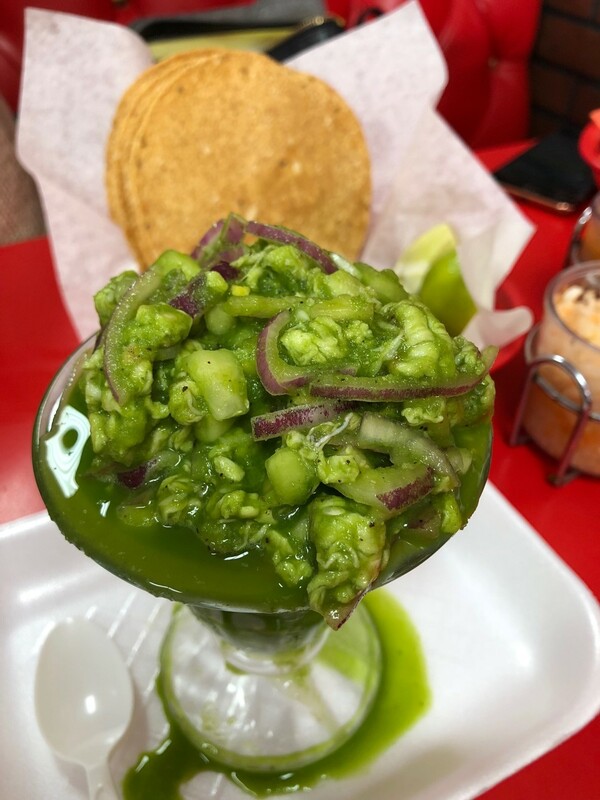 We interspersed olives and chips and salsa as a tasting reprieve. Eating enough to give us some time to talk while our tongues refreshed themselves for the following bottle. We were riffling through the lineup, consuming the wines with voracity. The penultimate wine was a 2008 Celler Mas Doix Salanques Priorat that yielded a complex nose of ripe dark plums that were covered in fresh soil, leather and pepper. Another stellar bouquet. 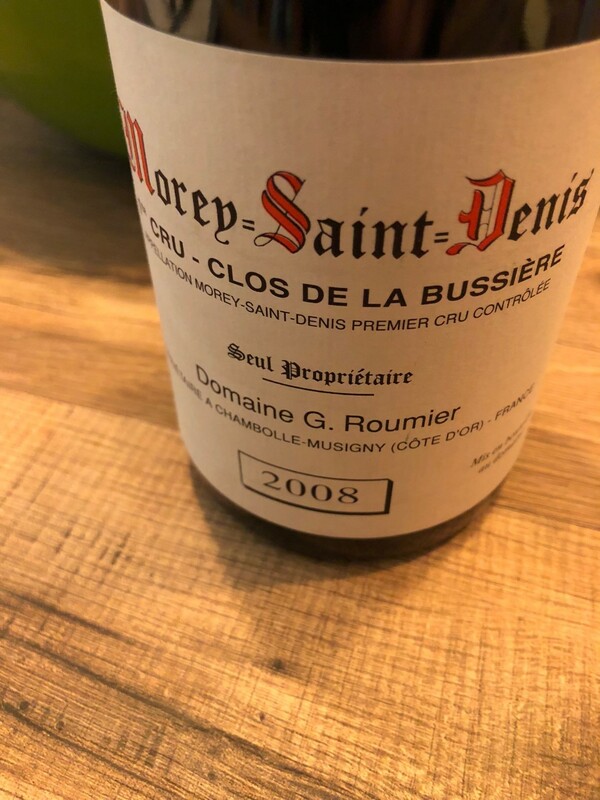 This time the wine matched the nose and the components shined, like the long-lasting flavors on the palate with a trim but full body (built like a sinewy prize fighter), and everything else in perfect proportion. It showed well and upstaged the previous bottle. Finally, we moved into what I was expecting to be the best bottle of the evening. The 2006 Brunello Di Montalcino from Caparzo wore a green label and poured a concentrated ruby coloring in the glass. It yielded straightforward scents of dark cherry, spice and tobacco on the sniff. The palate was textbook showing a moderately powerful flavor profile but it lacked excitement. It had the misfortune of following the top wine of the night and my expectations were also not helpful. It left me underwhelmed but it was far from a bad experience. We closed the night with a Beer, splitting a Telegraph Winter Ale that was based closely on the fabled Mexican hot chocolate. The beer was loaded with spice and malty notes and suited my palate fine however others were not as keen and they finished the night with something else in their glass. Nice does not begin to describe my evening and even if the wines all didn’t show quite like the Priorat or the Sauvignon Blanc it was a worthwhile night of tasting and a called-for replacement for the Ducks sour play.